Telephone testing support is one of our most recognized services. The competence of the assigned personnel and the availability of the documentation relating to the supply, stored in our archives, are the main elements that allow us to be punctual in providing the service. In order to further improve our services, we ask you to reserve telephone assistance a few days in advance of your work on site. This will allow us to organize assistance more punctually. Those users who so desire, can subscribe to the “Service and Maintenance Contract” in order to receive support by telephone. The subscription to the contract involves an annual cost which permits one to receive priority telephone support, speaking directly to our experts. 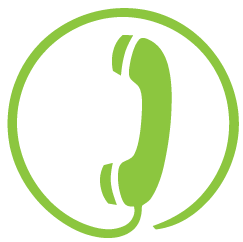 It is possible to activate a telephone support and assistance service for the resolution of a unique specific problem (e.g. assistance in the configuration of plantMANAGER functionalities, software upgrades, etc.) even at a certain distance in time from the date of purchase of the product or indeed without having subscribed to a service contract. The pay per accident/event modality involves a lump sum cost for the service assistance (typically several hours concentrated within a single day). Accessible only to those who have subscribed to the service contract.